"Names, I-formulations, and invocations are early textual forms in Etruscan, but also in related, textually more primitive, languages such as Rhaetic. Helmut Rix has found and defined structures similar in Etruscan and in Rhaetic namely expressions in which words in an oblique case defined by him as the perternitive case, on -ale or -si, are linked to a word with a predicate form ending in -ku. Rix defines the latter as perfect-like passive verbal nouns building upon an active form on -ke, thus zina-ke 'has produced' and zina-k-u 'is produced'. Rix, therefore, can point to a complete formal agreement between Etruscan: mi zinaku Larthuza-le Kuleniie-si - 'I (am) produced by Larthuza Kulenie', and Rhaetic: Lasp-si elu-ku Pitam-nu-ale - '(am/is) dedicated by Laspa, the son of Pitamne'. The similarities between Etruscan and Rhaetic are essential while, among others, the Rhaetic alphabets are possible sources of inspiration for the runes inasmuch as Rhaetic inscriptions are known from the beginning of our era." Here, the term I-formulation refers to the quirky scribal habit of giving an object an inscription in the first person such as "I am the vase of Aranth Veliana" or "I was given to Thufltha by Aule," for examples. These I-formulations are found in Faliscan, Latin and Greek languages as well and so one shouldn't assume that they're merely an Etruscan idiosyncracy. Now, the reason why I'm quoting the above paragraph is to give people a contrasting example of the way in which translations are accomplished correctly with proper methodology, as opposed to being done incorrectly as in the pdf linked to my previous post. We read here that Rix isn't merely trying to equate words together at whim but is defining a common Etrusco-Rhaetic morphological structure. Rix doesn't go out of his way to offer inane translations but instead finds readings that are both respectful of the archaeological context of the inscription in question and yet also perfectly in line with grammar typical of Etruscoid languages like Etruscan and Lemnian. Rather than focussing on one word at a time, Rix successfully cross-correlates numerous historical and linguistic facts together to create a most-plausible solution that is fully coherent, consistent and thorough. So stick that in your eyes, Drs Toth and Brunner. Kook alert: Rhaetic is now a Semitic language? Must I go on? It's good for a laugh. Thankfully even these documents serve a purpose as a kind of "intellectual shibboleth" since scholars who cite these nonsensical works for anything other than an example of undiagnosed psychological disorder are likewise probably not dealing with a full deck of cards. Life is short. Let's not make it shorter with craziness, okay people? "Most commonly, the 'specific structural purpose' of regular metathesis lies in converting phonologically or perceptually 'marked' structures into more acceptable ones." This, of course, is exactly what I've been proposing in relation to the Syncope rule in my theory of the transition between late Mid IE and early Late IE. The mass deletion of supershort schwas throughout the language would have put strong pressures on syllable structure, producing complex clusters where there originally were none. From the looks of it, early Indo-European initially placed strict limits on what clusters were legal such that word-initial CCC- was virtually banned aside from clusters preceded by *s- (e.g. *spl-, *str-, etc.) and, yes, this means that I think that *ph₂ter- "father" and similar words are datable only to the post-Syncope Late IE period. That metathesis happened in pre-IE is, as far as I'm concerned, a fact proven by the infix *-n- which was surely at one time a suffix *-an- in Mid IE (n.b. suffixes are most typical of SOV languages) before it started doing a doe-see-doe with the last consonant of the verb stem, coincidentally sometime during Syncope (e.g. *leikʷ- + *-n- = *li-n-kʷ-). "Regular metathesis may also serve to eliminate clusters which do not conform to the preferred ordering of segments within syllables in terms of the sonority hierarchy (cf. 2.1.12 above). For instance, in the prehistory of Modern Persian, apocope introduced word-final clusters of obstruent or nasal + [r]. The increasing sonority of these clusters violated the tendency toward decreasing sonority of the coda. Metathesis eliminated the 'marked' structures and replaced them with 'unmarked' ones." Eureka! Thank you, Old Persian, I love you. My point is that, while some of my commenters here have suggested that my hypothetical post-Syncope verb stem **rten- in my previous post (see Phonotactic processes during Syncope) could have just as easily gone through a Sino-Tibetan-like deletion of offending *r-, this is not the only evolutionary possibility. Metathesis of the liquid can indeed happen to produce something like **tren- as I suggested and for the very reasons I suggested. In fact, one might even say that deletion is less preferable than metathesis because the former process destroys the inherited consonantism and can reduce intelligibility. Say what? Did someone say "metathesis"?! As much as the tired Indo-Semitic theory presented in this book is an immediate write-off, I still think that some of these ideas may be of use (little use, but a use nonetheless) in hinting at what would more plausibly be evidence of borrowings and contact between early stages of Proto-Indo-European and Proto-Semitic rather than of outright linguistic relationship. So the equation that Levin provided here (i.e. Semitic *rdm and PIE *drem- both meaning "to sleep") has got me thinking in light of what I'm now aware of about pre-IE metathesis. Is it possible that we're dealing with a Semitic borrowing adopted into Mid IE as *rad̰éma-, thereafter shortened to *rᵊd̰émᵊ- by Reduction and transformed to *d̰ᵊrémᵊ- by phonotactically-motivated Metathesis before finally becoming early Late IE *d̰rem- by way of Syncope? Hock, Principles of Historical Linguistics (1991), p.115 (see link). Levin, Semitic and Indo-European (1995). Amsterdam studies in the theory and history of linguistic science, v. 129, 226. pp.21-22 (see link). I'm really glad that I've finally made a summary pdf of my Pre-IE theory because it's helping me focus my concentration on smaller details now. I was pondering again these past few days about phonotactics, syllable structure and all that jazz in relation to the rule of Syncope in Pre-Indo-European (PIE), trying to tease out more revelations about the details. One thing I just noticed is that there seems to be a kind of symmetry presenting itself between two different phonotactically motivated processes happening at the same time. "What does your prattle mean?" you ask? Well, I mean that, as the supershort schwas were being deleted in the late Mid IE, this must have put incredible pressure on syllable structure such that special countermeasures were needed to avoid hard-to-pronounce consonant clusters, especially at the beginning of a word where the consonants tended to clump due to the previous penultimate accentuation of Mid IE. So, it seems to me that while Metathesis occurred in positions after the stress accent to remedy awkward syllabification, a-Epenthesis (the left-to-right insertion of *a) occurred in positions *before* the stress accent. I notice that Mongolian also has a similar process of left-to-right schwa epenthesis however this seems to occur to resolve clustering in the coda not the onset. So this symmetry of phonotactic processes in Pre-IE seems to exist... or at least so I think so far... but should I believe this or am I seeing a mirage? This train of thought may be opening up another can of worms for me. a-Epenthesis only seems to be attested in noun and adjective stems. When I ponder on how verb stems might have resolved word-initial consonant clusters however, a-Epenthesis doesn't seem to do the trick based on the evidence in later Proto-IE. Let's say we have an imaginary verb in Mid IE like **raténa- which is for the purposes of intellectual inquiry a well-formed verb root at this stage (n.b. the same structure seen in *sad̰éxa-, the presumed antecedent of *steh₂- "stand"). Everything's good so far... until Syncope happens and threatens an illegal stem form **rten- that violates sonority hierarchy. This means that if a-Epenthesis wasn't triggered in verb stems at all, something must have been triggered to avoid this very ugly scenario. Might Metathesis have operated in cases like this too, thereby producing **tren-? Is there something that I'm missing? This problem has been driving me nuts for a while now because I can't for the life of me think of a possible example showing this kind of metathesis in the onset of a pre-IE verb stem. "(This looks like pA *-r₁-/*-r₂i-, conceivably from pre-Altaic *-r-/*-ri- [i.e. *-r(i)-] before the phonemic split of the pre-Altaic liquid.)" I find this fascinating because it seems to confirm something that I had reasoned long ago concerning the source of the phoneme *r₂ in the Altaic plural marker. I figured that if the original plural common to Proto-Indo-European (PIE), Proto-Aegean, Proto-Uralic and Proto-Altaic (PA) was *-it, then presumably PIE and PA share the isogloss of Sibilantization of word-final *-t. After becoming *-is, the ending would have rhotacized in Pre-Altaic to *-ir before being palatalized to *-(i)r₂. So it appears very strongly that the source of all instances of Proto-Altaic *r₂ lies in the early palatalization originating from a neighbouring *i in a Pre-Altaic stage. Etruscan Tarchon and Hittite Tarhun: Crazy or no? Tarchon is the name of the legendary hero of the Etruscan city of Tarquinia, mentioned by Vergil. Tarḫun on the other hand is the Hittite god of weather and storm. There seems to be a commonly cited etymology that attempts to link the former with the latter and while I'm always cautious of these unproven claims, maybe this isn't so crazy. I just thought of something that adds to that connection so forgive me for brainstorming out loud. Assuming that this etymology is sound, early Etruscans would have borrowed this term from the Hittites when they were still in Asia Minor in the second millenium BCE. This is an interesting idea because it ties in so well with my previous observation that Pre-Etruscan medial *-h- surfaces as the velar aspirated stop -χ- in Etruscan when following another consonant (cf. The loss of mediofinal 'h' in Pre-Proto-Etruscan). So does this mean that Hittite Tarḫun, a safely Indo-European name derived from Hittite tarḫ- "to conquer", was borrowed into the pre-Etruscan vocabulary as *Tarhun and later became Etruscan *Tarχun (attested on the bronze mirror indexed as NRIE 759 in the genitive case: Tarχunus "of Tarchon")? Dreyfus/Schraudolph, Pergamon: The Telephos Frieze From The Great Altar (1997), p.113 (see link). "Bravo!!!! Perhaps the most insightful work on Etruscan Extispicy I have ever read." I would have taken it at face value and been very flattered if it weren't for that suspicious name of his and my overanalytical mentality which gave me the hasty impression that this was some sort of joke at my expense similar to what Language Hat's peanut-gallery commenters were doing to me recently. So into the reject bin it went. Whoops! Unfortunately, once something is rejected, Blogger doesn't allow you to undo the function. Upon review of Brian's blog where he indeed mentioned my work on Etruscan haruspical traditions in all intellectual seriousness and in relation to his personal explorations into paganism and modern heathenry, it seems that I've made yet another booboo in judgment (let's just add it to my long list, hahaha). So it turns out this is not a practical joke afterall despite his deceptively jocular username. Therefore, I'm very sorry, Brian, for rejecting your comment and thank you very much for enjoying my blog rants. He adds an interesting thought about the connection between Rhaetic and Southern Germanic peoples. This is something that I'm interested in too after my recent investigation of the name Arretium, which I've begun to believe is in origin a Germanic name (not Etruscan as often claimed without concrete proof despite attested Aritim-i "in Arretium"). I'm starting to think this is one historical, archaeological and linguistic aspect that I'm still missing in my knowledge of the involvement of Etrusco-Rhaetic speaking peoples in Italy. I've yet to find a published account of this topic that's satisfying though. My sense is that there's a bunch of little bits of information strewn about that one needs to assemble together oneself to get a better picture of things. The easter egg hunt continues. And onward I go with my Etruscan Dictionary drafts. I still have no idea when this will end but sadly little things like this thrill me. I hope you indulge in your geekiness as I do and are thrilled too. I've made a few changes but I've been lying low these past two months while being temporarily sidetracked by contributing online with my ever-evolving theories on Pre-IE. Nine new words have been added to my Etruscan database, making the number of total entries a paultry 1092. The rest are modifications to original entries which are detailed in my ammendments pdf. All pdfs of previous drafts and associated ammendments remain housed on my Etruscan Dictionary Project Updates page for perusal. This is very maddening but for some reason, the Open Office application that I've installed on my laptop and which has otherwise been a godsend for me and enabled me to convert docs to pdfs with the press of a button doesn't want to cooperate with me this evening. It gags on the size of the file and I can't assemble the document or convert it to a pdf like I had planned today. Since I'm out right now, going all the way home to make this document on my PC is out of the question. So I'm very sorry to all who were probably having cold sweats at the anticipation of my latest updates (hehehe :P) but I at least know that my PC has enough juice to handle the document. I'll be getting that ready tonight so that I can post this pronto tomorrow without any more glitches. UGH!!! DAMN COMPUTERS!! They're the bane of us all. The mess with early gemination that I've been previously speaking about has oddly enough led me down a new quest: Proto-Kartvelian (PK) loans. I previously used *ḱerd- "heart" as one of my MIE examples undergoing gemination and vowel lengthening. Yet it turns out that while it is often associated with PK *m̥-k’erd- "chest", I've never yet come across an accurate explanation as to how Proto-Indo-European (PIE) either acquired these loans or how they were given to Proto-Kartvelian. Where and when?? Then when I survey the PIE words that are purportedly shared with Proto-Kartvelian, I notice that they appear to be loaned most recently within the Late IE period. If that's true, I can't in good conscience ever use this item again when discussing Mid IE. I might speak more on this interesting issue later. I admit that I must sound like a broken record this past week because I'm obsessing over this new Gemination rule for Pre-IE. There's been some constructive resistance involving the seeming "ad-hoc-ness" of my claims because the rule has been complicated by a concurrent lengthening of vowels that also seems to be caused by the loss of supershort schwas. I think now I might be able to tie the whole thing together into a single phenomenon of compensatory lengthening and, to add, I might be seeing a similar example of the same process having occurred in Slavic languages. 1) MIE *bérata "she carries"
2) MIE *kahʷánasa "dog (nom.sg.)" 6) MIE *nákʷtasa "night (nom.sg.)" Now I think I understand exactly why this would be happening and I owe it to those blessed Slavic languages. Thank you, Slavs, for existing and rocking my linguistic world! Basically, vowel lengthening would only ever occur in accented syllables and it's therefore natural then why gemination, rather than vowel length, is triggered by word-final supershort schwas in words with antepenultimate accent (i.e. words where a word-final supershort schwa is preceded by another unaccented vowel). Gemination is in effect the compensatory lengthening that occurs in posttonic syllables while vowel lengthening only ever occurs on the stressed syllable. Finally, word-final supershort schwas in penultimate-accented words never trigger vowel lengthening even though the preceding vowel is accented probably because gemination is the default and favoured process. Afterall, these affected consonants are nearer to the eventually-omitted tautosyllabic schwa than an accented vowel in a preceding syllable. It's all about compensatory lengthening in the end, whether involving long consonants or long vowels. Considering also that a long consonant is effectively a "fortis consonant" and considering that such consonants already existed as voiced laryngealized stops at this stage, long consonants would be quickly reinterpreted as their voiced counterparts via lenition. All of these processes now appear to me to be natural and attested in many other languages. Here are some links to developments in real-world languages that one may find eerily similar to what I'm now proposing for late Mid IE. You may notice that supershort schwas in Mid IE are parallel to jers in Slavic in the way they behave and the processes that they apparently both trigger. Enjoy! "The development of compensatory lengthening (CL) through vowel loss is a common sound change in most Slavic languages. Slavic CL is a diachronic process whereby the second vowel (jer) in a CVCV sequence is lost with a subsequent lengthening of the preceding vowel (1)." "10.8. Stressed short vowels were lengthened and received a falling tone before a non-final lost jer in Slovene, e.g. bȋtka ‘battle’. This development was evidently posterior to the progressive accent shift (10.7)." (June 13 2008) On second thought, MIE *kérad̰a "heart" should probably be only *kérad̰ since this would be more in line with the accentuation at the time. On the other hand, it's always possible that the word is a Kartvelian borrowing anyway (from Proto-Kartvelian *m̥k’erd- "breast") and therefore may not have been naturalized with a penultimate accent before Syncope took over. At any rate, with or without the final supershort schwa, the result would be the same but I suppose that we can do away with this word-final vowel for the sake of theoretical optimality. 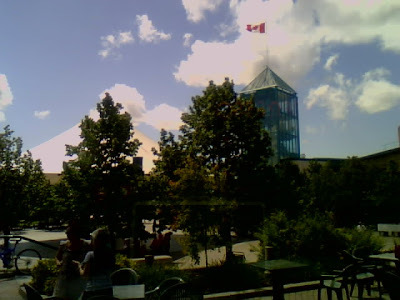 Ah, it's sunny again, so understandably I will be making this blog brief as I enjoy the weather (and in Winnipeg, it's our prerogative to enjoy it considering that we only get hot summer weather for three months of the year). Anyways, back to the topic of this blog, I always find it funny how something has to be published in a book before many people feel that it's "real" enough to believe. Of course, I'm not complaining about the great comments and feedback I'm getting back from this blog. However, there are times when things that, at least in my mind, seem to be so clear and well-known in published literature as to be virtually unquestionable are fought by some readers tooth and nail without careful rationale other than "it doesn't satisfy my skepticism", I have to admit it makes me roll my eyes at times. Again, I'm not complaining because when one decides to reach out of one's own bubble and blog to the world, this just comes with the territory. "To the same language family as Etruscan there belong only two poorly attested languages: Lemnian in the Northeast of the Aegean (sixth century BC; Agostiniani 1986) and Rhaetic in the Alps (fifth to first centuries BC; Schumacher 1992:246-248; Rix 1998). Lemnian and Rhaetic are so close to Etruscan that Etruscan can be used to understand them. The date of the common source language, Proto-Tyrsenic, can probably be fixed to the last quarter of the second millenium BC. The location of its homeland is disputed, however; possibilities include: (i) the northern Aegean, whence Proto-Etruscan and Proto-Rhaetic speakers would have come in the course of the Aegean migration westwards at the end of the second millenium (similarly Herodotus [I.94] identifies Lydia as the Etruscan homeland); (ii) central Italy, from which Proto-Lemnian speakers would have migrated eastwards and Proto-Rhaetic speakers northwards. A decisive judgment is not currently possible." Of course, I still maintain that the latter possibility (i.e. that these "Tyrsenic" languages are autochthonous to Italy, as per Dionysius of Halicarnassus) mentioned in the quote above is merely mentioned as a kind of diplomatic tip-of-the-hat to a historically vocal camp of thought that is destined to devolve into a new-age minority religion in the next century while the former (with perhaps some slight modifications) becomes the future standard view. How long was the contact between Pre-IE and Proto-Semitic? 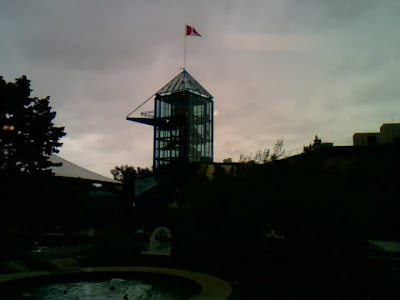 It's cloudy and rainy today in Winnipeg. So since I can't suntan, it's a perfect day for more rants about Pre-IE! Hooray! In a previous post entitled Semitic and IE in the Neolithic: How intensive was the language contact?, I began to wonder how important the contact was between these two language groups. I can't help to this day that there is much much more to this topic than understood so far by current linguists. I'm going to dare to push this topic further however by assuming that the Semitic-PIE language contact indeed was intensive and by now trying to ascertain the duration of the contact in terms of date range. Now that I've made my pdf of my theories on Pre-IE, I want to make it more accurate. I figure that 5800 BCE is as good a time as any for this contact to have started since this is the heart of the Neolithic and, archaeologically speaking, there is ample evidence showing cultural contact between people of the Near East and those of Eastern Europe by this time. Within the context of my theory, this is the Mid IE period preceding the rule of Syncope by several generations. Let's assume for now that these are the upper bounds of contact (until I find reasons to move the start date, that is). I forgot that, in my aforementioned article, if I'm correct that Semitic *gádyu "kid" is specifically loaned into Late IE as *gä́id̰ə-, rather than into Mid IE where we would have rather expected **géid̰a- based on its theorized vowel inventory (as well as other loans showing the same vocalic sound correspondence), then this provides a new lower bounds of circa 4800 BCE of this contact. In early Late IE, I've already felt the need to propose an extra low-front vowel *ä that arises just before Syncope due to a deletion of some pretonic laryngeals (e.g. late MIE *mᵊxéd̰ᵊ- > early Late IE *mäd̰- > PIE *mad- "to be moist, to be drunk"). So this extra vowel in the system would explain the later vocalism in *a (PIE *ǵʰáido-) which I can't currently explain with Mid IE phonology. This is something else I have to change in my current pdf on Pre-IE sound changes apparently. I'm getting some great feedback and resistance to my new rule. I love resistance! It keeps me on my toes. As I said before, I'm exploring a better way of explaining what appears to be word-final voicing in PIE based on Jens Rasmussen's published input on an earlier voiced nominative singular *-z and the simultaneous existance of *-d. My view remains that they come from deictic stems *so- and *to-, and I'm sticking to that story. Yet this implies word-final voicing which is exceedingly rare and therefore yucky in a good theory. Tropylium had got me thinking about a rule based on secondary stress after objecting to the idea that the rule would only occur in unstressed positions, but after pondering on that yesterday (and then again at 3AM tossing and turning), I came back to my senses and realized why this cannot be. As I have it so far, my Reduction rule effectively bifurcates a former schwa (represented as unstressed *a in my MIE notation) to either supershort schwa (the default change) or regular schwa. Since my Syncope rule only deletes supershort schwa but not regular schwa, evidentally the voicing can only have occured before the supershort schwas. This may sound contrived to some but the phonetics are really starting to make sense to me, so let me explain it in detail now. The reduction or deletion of a word-final vowel with simultaneous gemination of the preceding consonant is commonplace (e.g. Japanese desu /des:/) because this is merely a matter of compensatory lengthening and syncope, both of which are commonplace linguistic processes in languages worldwide. It's important to recognize however that a preceding consonant need not geminate as the following vowel is deleted. In what way the vowel is deleted depends on the idiosyncracies of the language in question and its individual speakers. On the phonetic level, all that's happening in this sort of gemination is a transfer of duration from the vowel to the neighbouring consonant such that the overall duration of the sequence remains the same. In the rule I'm now proposing for Pre-IE, I suggest that this same gemination occurs, but only in unstressed syllables. Again, this is not objectionable considering the example of Old English wīte "punishment" from wītje (no gemination in accented syllable) versus Old English wēstenne "desert (dat.sg.)" from wēstenje. Compare also wīte < wītje (with long vowel) versus cynne "race (dat.sg.)" < cynje (with short vowel). The importance of the latter comparison will make sense as I explain below. If the lack of stress is some factor in (but mind you, not a *cause* of) this rule, then why and how would this have occurred phonetically? After pondering, I realized why this might be. In a stressed syllable in MIE, such as in genitives ending in *-ása, I don't expect gemination (and hence later voicing) since the thematic vowel *e in *tesyo "of this" suggests that the *s in the genitive singular was always voiceless (i.e. from early Late IE *təs-ya) in contrast to a voiced *-z in the early nominative singular ending where thematic vowel *o always arose just as it did before other voiced consonants. So clearly in an accented syllable, gemination did not occur, probably because the vowel was stressed and therefore longer in duration. The added duration of the vowel in the stressed syllable would understandably be a credible factor in blocking gemination during Reduction of the word-final supershort schwa (similar to the Old English example above) because a geminated consonant would then compete for time with the accented vowel. The longer stressed vowel naturally won that battle, gemination did not occur, and therefore the genitive remained voiceless. It's brilliant! In an unstressed position however, there is no such competition for length because there are no tidal effects from the presence of stress. An unstressed vowel is comparatively shorter than a stressed vowel anyways. So as the vowel was reduced at the end, length was then transferred to the preceding consonant to maintain the same overall duration. Thus the unaccented sequence *-Vsa as seen in the MIE nominative singular was free to evolve to *-Vsᵊ (Reduction) > *-Vssᵊ (Gemination) > *-Vzᵊ (Voicing) > *-(V)z (Syncope). I've also thought of a good reason why secondary stress would be insufficient in explaining this gemination. While secondary stress would have once donned most instances of the agglutinated deictics *-sa and *-ta in MIE, it wouldn't have naturally done so in unstressed MIE *kʷai-ta > *[kʷittᵊ] > PIE *kʷid "what?" yet the inanimate pronominal marker shows voicing nonetheless. Therefore it is the absence, not the presence of stress, that must be a factor in this Gemination rule and this would simply be because a stressed vowel in this language was phonetically long enough to compete against neighbouring consonant gemination in contrast to unstressed vowels which lacked the strength to resist it. There! Now is this new theoretical account good enough to please the populus? Van der Hulst, Word Prosodic Systems in the Languages of Europe (1999), p.342. (see link). Blevins, Evolutionary Phonology: The Emergence of Sound Patterns (2004), p.173 (see link): "In many languages, a stressed syllable is longer in duration than a segmentally identical unstressed syllable." (July 04 2008) I corrected "Since my Syncope rule only reduces supershort schwa but not regular schwa [...]" to "Since my Syncope rule only deletes supershort schwa but not regular schwa [...]". Sorry for the potentially confusing choice of words. Considering that I made my aforementioned pdf of Pre-IE changes on the fly, it's expected that I have much work to do before I can be reasonably satisfied that all the errors are ironed out and that it properly reflects my current views. Odd as it may seem, all these ideas and theories were off the top of my head and boy oh boy, did I ever feel a great weight lifted off my half-shattered brain as I poured them into that file! Here is the second version of my file. I know it's rather soon but it's necessary to fix some errors Besides, I get off on being obsessive-compulsive, LOL! Now to explain the changes of my second draft of my Pre-IE theory. I recently remembered that the last time I had left the topic of Indo-Aegean Sibilantization, I had already renamed it Word-Final Lenition because word-final *-k may also have been reduced to a glottal stop at around the same time. Miguel Vidal had theorized something similar and I've come to grow fond of this spin on his ideas. I then rearranged the order of some changes in the Indo-Aegean section and added a very important sound change: Centralization. Centralization is the idea that an originally 3-dimensional vowel system was "centralized" and reduced to a 2-dimensional system. This new system that had developed would have had only a contrast in height between *a and *ə. This is also the point at which labialized stops first surface in the language. I suspect that this was an innovation spurred on by contact with an ancestral form of Proto-Abkhaz-Adyghe (aka Northwest Caucasian). This hypothesis is largely based on Allan Bomhard's theories on Nostratic and Pre-IE with a few notable twists and extra details which I've mentioned in the newest version of the pdf. For Phoenix, I've added a few PIE examples (*wástu and *márḱos) to add support to the Labial Dissimilation Exception of Vowel Shift at the end of Late IE. Time will tell whether there are good objections against my hypothesis though. I also corrected my error concerning "Root Aorists" in the Post-IE section since, based on the example I provided, obviously I meant to say "Thematic Aorist". Mea culpa. Thank you, Rob, for spotting that and asking questions. Verb forms like *likʷét "she left" and *widét "she knew" are now considered by Indo-Europeanists as a later innovation that can't be reconstructed for the Proto-IE stage. Miguel Carrasquer Vidal, "Re: [tied] Dissimilation of gW/kWVw to gVw/kVw", Cybalist (Yahoogroups) (Apr 19 2005) (see link). Here, he proposed that *-ku > *-kʷ > PIE *-h₃ while final *-ki > *-h₁. I feel that this is unnecessarily complex but that the idea of the dual ending evolving as *-ak > *-aʔ > PIE *-(i)h₁/*-e (via Laryngeal Vocalization) entoxicates me since it could potentially explain the relationship between PIE's dual on the one hand and Uralic *-k(V) & EA *-k on the other. Lenition already explains the connection between PIE *-es and Uralic plural marker in *-t.
 Bomhard, Indo-European and the Nostratic Hypothesis (1996). Hopefully now with this new file, I'll be understood a little better and people will be better able to follow along with my rants on Pre-IE and challenge any stubborn assumptions I have.